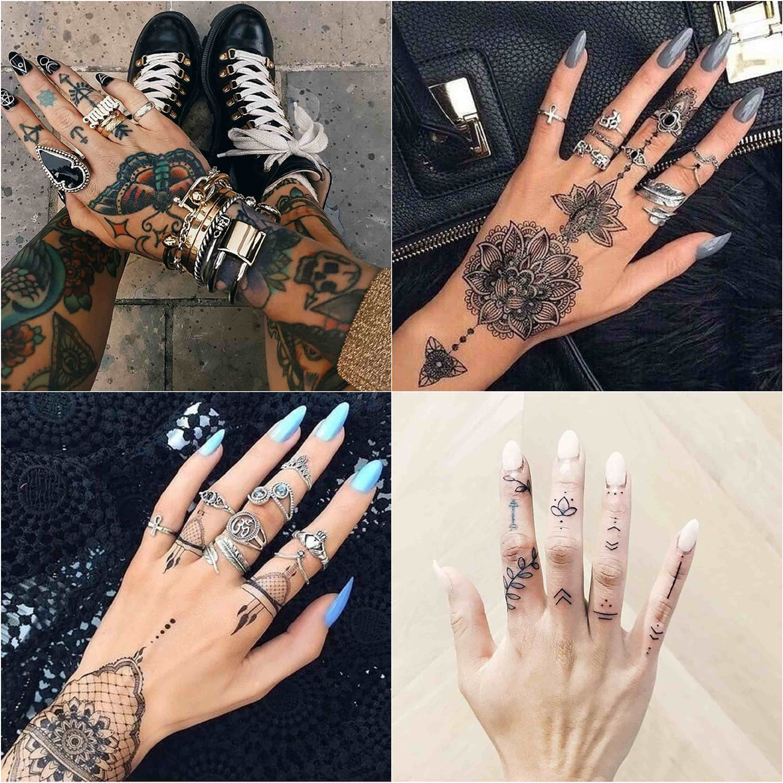 Finger tattoos are more happening solutions if you cannot afford precious rings to adorn your hands. These tattoos are small, simple and quite intriguing as these are developed on a story that reflects a lot about the person’s mindset. 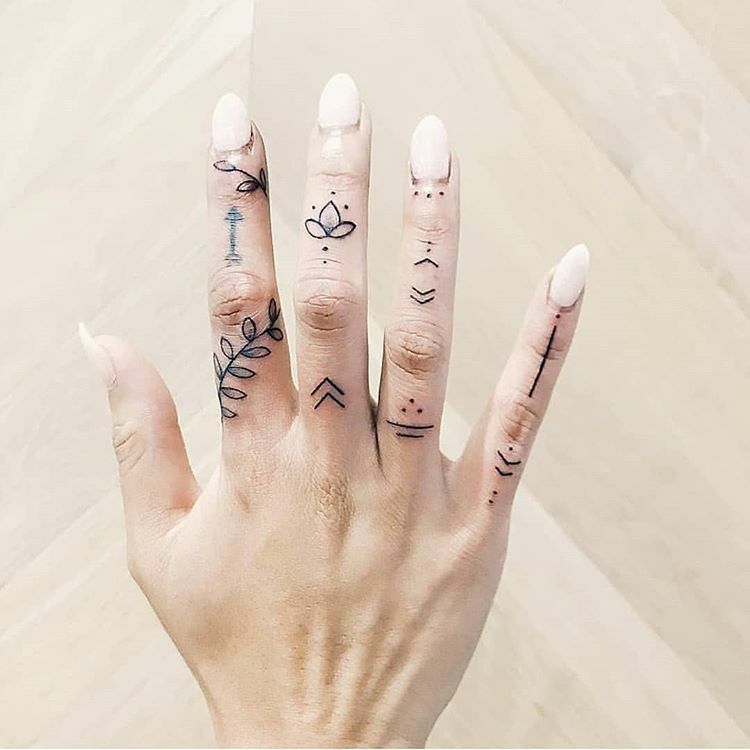 So, listed here are 12 interesting finger tattoo designs that speak a lot as well as beautifully about the person you are and the message you send to the world. This is something unique, interesting and directly from the good books of an innovative design thinker. The user can have a collection of designs inked on all the fingers and the size of design is corresponding with that of the finger. Thus, the most elaborate one comes on the first finger or index finger. 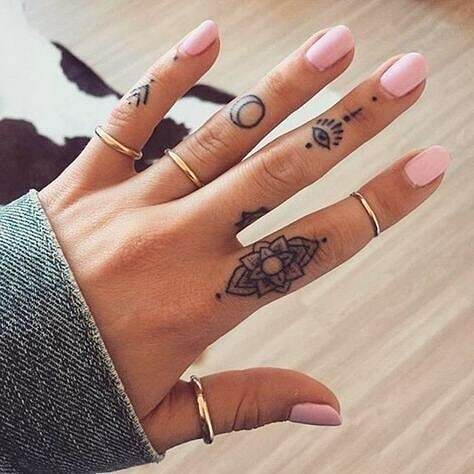 Since the smallest finger will not be exposed much, a simple tattoo but beautiful in design does the job easily. Bohemian fashion is lot about discrete colors like black and white in jewelry. The beautiful finger tattoo having anchor and arrow or sun’s ray in design shows a person filled with hope and determination. The person knows where his path will lead and how he is going to embark upon the journey. 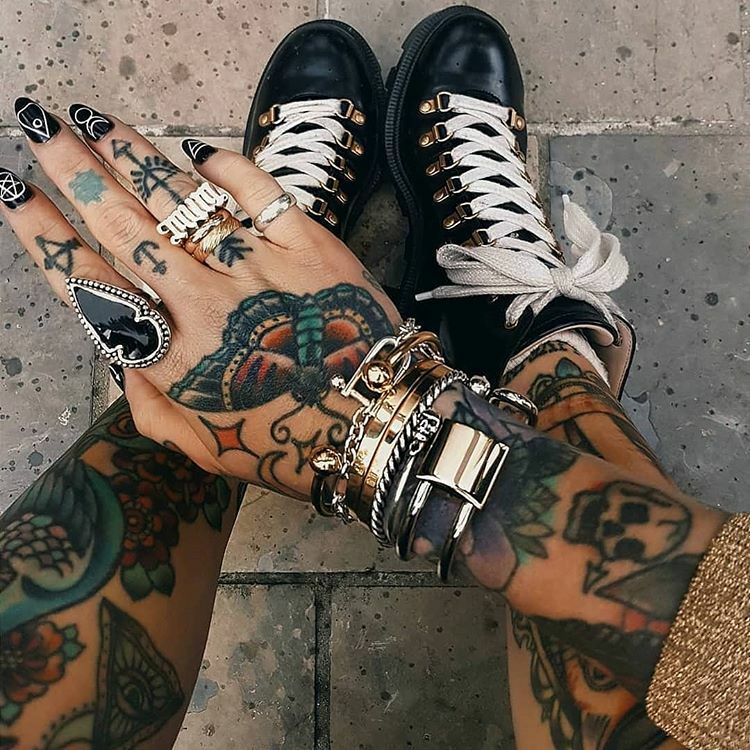 Enriching the tattoo in combination with rings makes the whole look truly stylish. 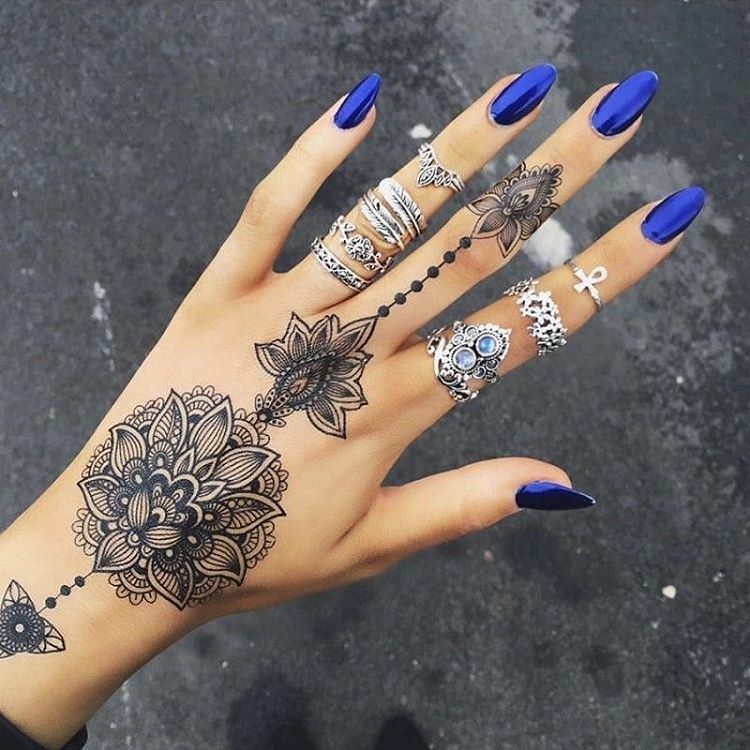 Tattoo ring designs can be created in a variety of ways, some of which are derived from the Arabic Henna designs too. Tattoo on the wrist may have a central design. The parts of the same design when inked on the finger create a uniform look. It makes the whole of hand look as if it is embossed with beautiful jewelry. So, when you don’t want heavy jewelry to go with your look, this tattoo ring design based finger tattoo work the best. 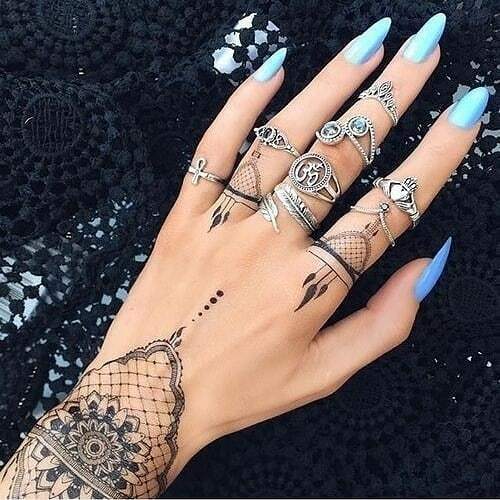 A lot is said in the small elements used in the finger tattoos that are making use of very unique elements in the design. This minimalistic look never goes over the top and brings a lot of style the way you dress your fingers. When you have given your relationship the best possible ending, and are happy about it, you bloom like a flower. This emotion is best depicted with a branch ending in flower that stands for abundance of emotions, of people and of lot of love in life. 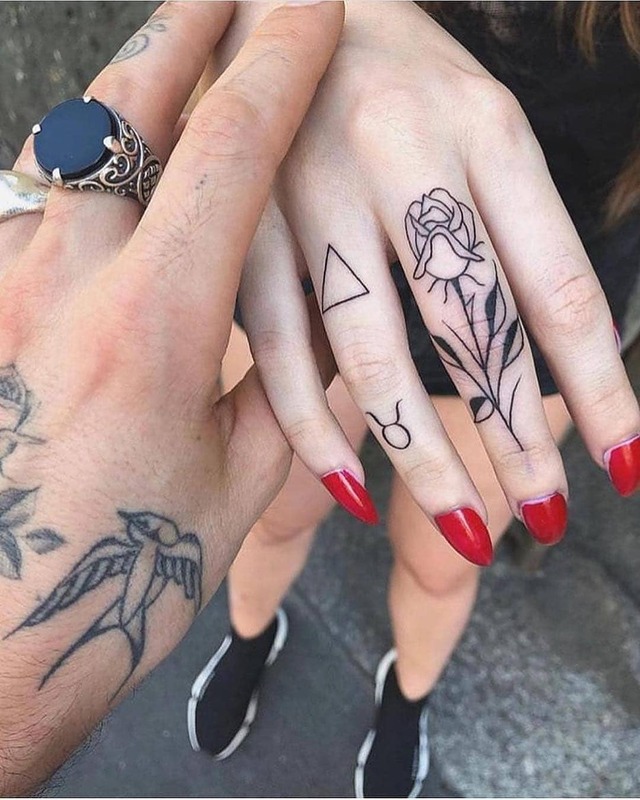 So, try using these designs to get your fingers inked. The whole idea is to make the look as classy and creative as possible without making too bold of a statement.